"The Melody Alkaline Water Ionizer has it all"
Made by Korea's largest and longest established water Ionizer manufacturer. Although the Jupiter Melody had been on the market for over four years now, it can out perform some of the new $2,000 water ionizers on the market. One of the benefits of buying a machine that has been on the market for a while is that all the bugs have been removed and what you have left is a machine that has been tried and tested and is durable and reliable. It produces high quality alkaline water. The customers who buy the Melody absolutely love it. We cannot say what exactly accounts for its performance, but the Melody just works like a champ. It even produces alkaline water when its cleaning. 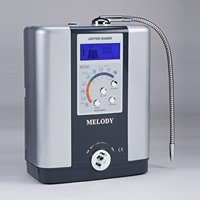 If the Melody is within your budget an you are simply looking for a quality machine that is reliable and produces great alkaline water then you cannot go wrong with the Jupiter Melody. There is no need to buy anything more expensive. Limited Lifetime Warranty - expect years of service. Purified water only (non-ionized) option. Choice of .1 Micron or .01 Micron 3-stage filtration with BioStone Tourmaline Infrared technology. Filter Life Approx 9 to 12 months depending on use. ORP varies depending on water source: tested at -818mv in California. Awesome! Optional ability to connect direct to mains and operate under mains pressure. 1/4 inlet tube; better visually in your kitchen that the 3/8" tube on other models. Automatic Reversed Cleaning Every water ionizer in the world, worth investing in, has an inbuilt cleansing routine. This ensures that any particles that may find their way past the filter are not 'caught' in the ionizing cells. The method is simple - the magnetic field in the chamber is reversed so that any mineral that has energetically adhered to a Titanium plate is repelled and flushed away. It's a clever system, and assures the user of a long, trouble free life, but it isn't perfect - except on the Melody. Before, during the cleaning cycle, the water flow was changed from alkaline to acid. Now, for the first time ever, the Melody delivers only alkaline water from the alkaline sprout. No more waiting even when your Melody is cleaning! Extra levels of pH means greater choice for you and other users. It also allows you to take advantage of higher alkaline pH levels when cooking, to make greens greener, rice fluffier and coffee and tea more flavorful. Varying levels of acid water output means you can avail yourself of all of many ways you use acid water; for your skin, for your plants, for your home hygiene and more. Pure water selection can be important if you or visitors are on an acid-based drug regimen. 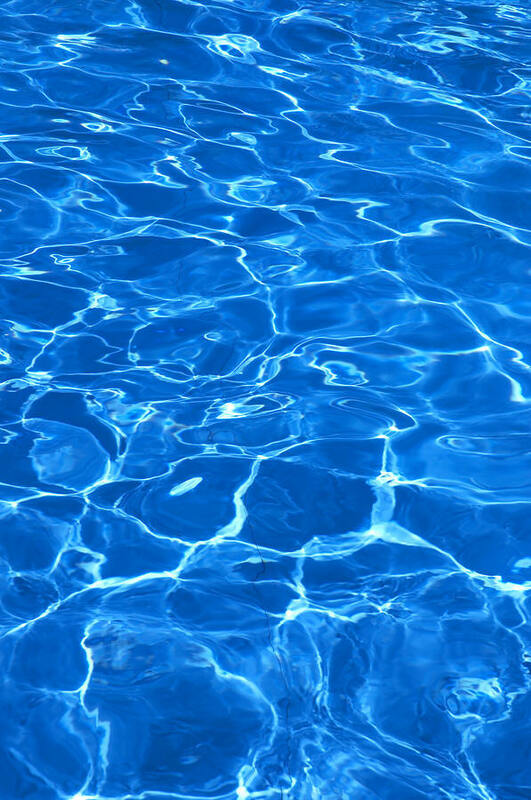 Although alkaline micro clustered water helps the absorption of many supplements and reduces the dosage requirement, it may affect drugs that are designed to be taken with acid or neutral water. The .1M (or optional 0.01 micron) 3-stage filtration plus BioStone Infrared means that not only is your water filtered of impurities to the very finest possible degree, but it is also preconditioned by reduction of surface tension for maximum negative ion production during ionization. The 3-stage filter also adds coral calcium to the water automatically. There is no substitute for a quality, replaceable filter. Imagine what your sink would be like, after a year, if you only used hot water to clean it! Large 5-plate polymer ion plated platinum coated titanium ionizing plates. Some older design water ionizers still use stainless steel plates, which were found to emit nickel. Jupiter Science and Toyo Water of Japan collaborated to produce the finest system of polymer bonded platinum coated Titanium plates. These totally overcome this leaching problem and radically enhance the lifespan of the plates, which are the heart of your Melody system. The MicroLite water ionizer also has 5 platinum coated titanium plates but they are smaller. This the main difference between the two systems. A stainless steel top spout may seem a small thing until you actually use and Ionizer without one. Some ionizers output their ionized water via plastic hose back to the tap and out. The kitchen tap is one of the most bacteria-laden zones in the kitchen. Furthermore, a top-mounted spout allows you to pour water anywhere; a real boon when the sink is full of dishes, or when you want to fill a large bottle. Integrated computer circuitry means CHOICE. Some units on the market try to make out that they are ionizers but do not use computer controllers. This means that you are restricted by the pH of your incoming water and not able to adjust to the optimal pH for your own needs. Computer circuitry also allows hot water and low pressure protection to be an automatic function. Post-operation Auto Cleanse System means that every time you use your 'Melody', it will undertake a silent, automatic cleanse of the Titanium ionizing plates in the heart of its system. This auto clean ensures continued maximum performance by removing any particles that may have gotten through the filter into the ionizing chamber. Voice confirmation means you are alerted to any change of pH. This safety feature can also be reduced in volume or turned off once you have learned how to use the Ionizer properly. it's like a 'learner-driver instructor' on board. Filter usage Liquid Crystal display means you can see at a glance how much filter life you have left. Although not an actual measure of filter life, it's a handy indicator off longevity that you can use to assess when to order a new filter. Optional ability to connect direct to water mains means you really don't even need your Melody attached to your tap. With the optional Under The Sink Kit, your Melody can be tucked away under your sink, leaving more space on your kitchen counter top. With a 1/4" hole in your bench, the Melody can attach direct to your under the sink water pipes. All you need do to have a glass of water is to turn it on at the convenient front flow valve. 1/4 inlet tube; better visually in your kitchen that the 3/8" tube on other models. Why? Smaller is less obvious, and even though you may not want to connect your 'Melody' to the mains, and hiding the inlet hose completely, the 1/4" tube looks far better than the bulky 3/8" hose on other models. Limited Lifetim Warranty: The warranty on Emco Tech ionizers begins on the original purchase date. the AlkaViva Lifetime warranty covers all ionizer parts (not accessories) and 100% of labor costs in the first 5 years. After the first 5 years the purchaseris responsible for any labor costs to a maximum of $199. AlkaViva will cover all shipping costs for 1 year. and then return shipping for up to 5 years from the original date of purchase. After that, the purchaser is responsible for all shipping. Items that have not been assigned an RMA number will not be accepted. The warranty expressly excludes damage caused by environmental damage including but not limited to mineral buildup due to hard water of high levels of iron, poor source water quality, infestation or electrical surges. AlkaViva is not responsible for any shipping on repairs outside of the United States, Puerto Rico, Guam, & Canada. Save counter space with this elegant under sink kit. With this new kit you can get both alkaline and acid water. This is great value. Jupiter input hose. This is a food grade hose that connects the faucet diverter to the ionizer. From time to time these hose may need to be replaced. Jupiter outlet hose. This is the acid runoff hose that hangs in your sink. Generally this hose hardly needs to be changed unless it was misplaced. This is a very nice and sturdy faucet diverter for use with all Jupiter water ionizers. 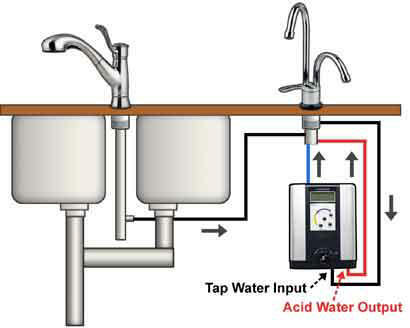 It allows you to connect the input hose to your water ionizer. It comes with adaptors to fit any "standard" American faucet threading, male or female.